There's a cyber Cafe, but when I visited last month I said "can I insert my disk" and they said "no"
see http://www.phreak.co.uk/stonehenge/psb/glastass.htm In the High Street, with a great cafe, we've installed new sound proofing, but have failed to get a lottery grant for a new roof, wheel-chair lift, etcetera. It's community owned, shares are £500.00 each, but nobody's allowed to own more than two. in 1983 I bought my bus, the engine blew up, it got towed to Greenlands Farm, Glastonbury where I lived in it until December-ish 1984, when I drove to Wales etcetera. 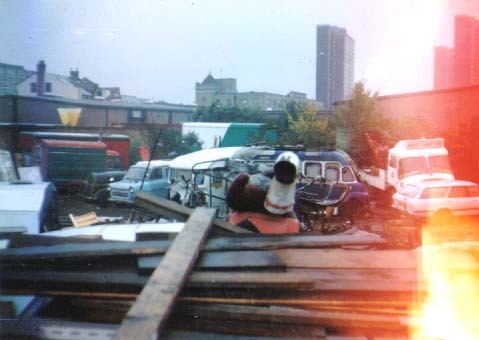 In summer 1995 I returned to Greenlands, we were evicted in December. Stonehenge Campaign | VE Day | Datelist | WebLinks | DiceNews. Get your own Free Home Page from Geocities - thanks!